A nine week programme of works has been carried out, to replenish beach material adjacent to the new stepped sea defences in the main central stretch of Cleveleys. 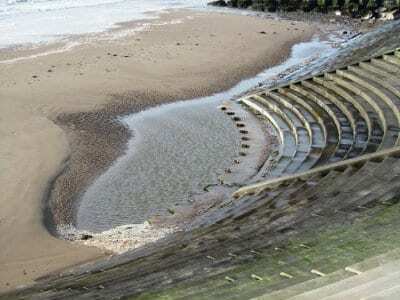 After the sea defences were constructed at Cleveleys, it was expected that north shore drift would deposit sufficient material at the base of the steps to protect the foundations and their base from erosion. This had happened in one or two spots – inside the curved areas – but not elsewhere. North shore drift had carried beach material along the coast and deposited it at Fleetwood. 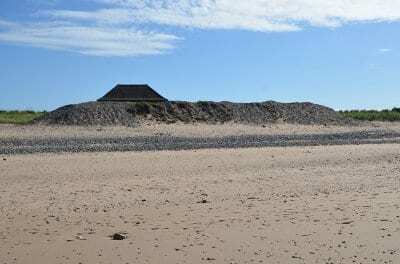 This means that the base of the sea defences were exposed at Cleveleys, but there was far too much beach material along the coast – this project has sorted that problem out. piles were exposed at the foot of the steps where they meet the beach (see top photo). This is not how the sea defences are designed to work. The first phase of works was to extend the groynes, the sand and shingle was then extracted from the beach at Fleetwood and was brought onto site. 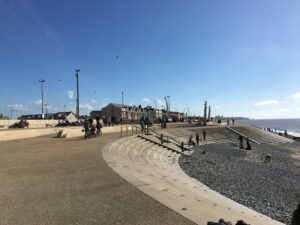 These works were carried out to ensure the longevity and effectiveness of the sea defences at Cleveleys for the future, so the emphasis was on completing them as quickly as possible. The groyne adjacent to the cafe was extended in rock along with the next one heading south to reduce the northwards erosion effect of subsequent tides. The beach level was raised against the steps and then tapered out in a seawards direction to meet the existing beach level, creating a more natural slope such as is seen on the shingle beach of North and Rossall Promenade. This has in turn reduced the depth of the water and reduced the depth of the waves which will make the promenade more safe to pass at high tides by dissipating the energy of the waves and how far they can travel onto the concrete pathway. The project has been documented through this website with regular updates. If you have any issues or questions you can still get in touch by ringing 07932 143431 (or send a text) and we will do our very best to help.  You can also email jane@theRabbitPatch.co.uk. 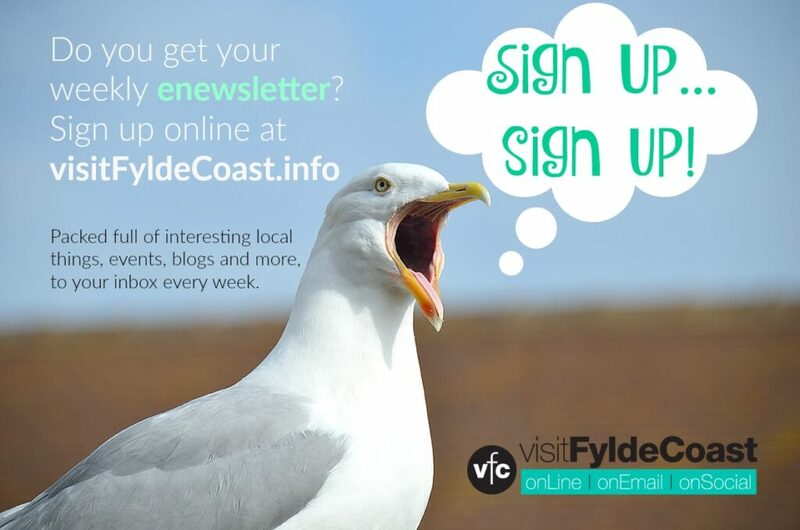 Wyre Council and Birse Coastal apologised in advance for any inconvenience caused by these essential works which make a significant contribution towards protecting Cleveleys from coastal flooding for the future. This project has solved two problems in one, because the shingle at Fleetwood had created a channel on the beach that the incoming tide fills, but wasn’t draining properly and leaving behind a muddy residue with rubbish deposits, which were unsightly. Excess sand and shingle was also blocking the inlet for the boating lake, so that wasn’t filling as it should do either. 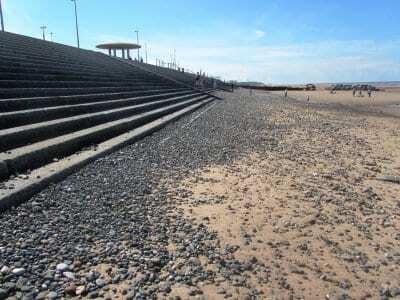 So in preserving the beach at Cleveleys, it’s also good beach management that has solved a problem at Fleetwood. To do any kind of work like this a license had to be obtained from the Marine Management Organisation (MMO).